First sentence: Never really thought much about Alabama's red dirt roads, but now, all I can think about is kicking up their dust. Premise/plot: Langston, our hero, has moved with his father to Chicago from Alabama. It wasn't his choice--but his father's. (Alabama reminded him too much of his late wife.) 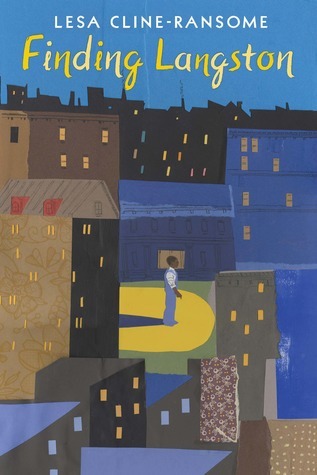 This coming of age novel is set in Chicago in 1946. Finding Langston is an Coretta Scott King Honor book in the author category for 2019. My thoughts: I really found this a quick, compelling read. Langston is struggling to make Chicago his home. He misses the life he knew. And he hasn't really made any friends yet. In fact, he's been bullied by others; he's a COUNTRY BOY. Langston hates just about everything in Chicago BUT the local library branch where he is welcomed. Langston discovers the other Langston--Langston Hughes--and finds his "home" between the covers of the books he reads. I love reading books where the main characters love to read.